Expanding Sheffield cab firm, City Taxis, has kicked off its launch in Rotherham with a partnership deal at Rotherham United. Changes within the industry saw the innovative company merge with Mercury Taxis in 2015 and move into larger premises. City went on to purchase A1 Ace Taxis of Barnsley for an undisclosed sum in 2016. Barclays backed the £10m turnover company with new funding to enable the purchase of the premises, as well as the installation of innovative technology to help the firm keep up with the industry. During the merger with Mercury, company bosses highlighted the impact and opportunities arising from new deregulation acts that allow private hire operators to subcontract bookings to private hire operators licensed by other licensing authorities. For Sheffield, this means that: an operator licensed in Sheffield can subcontract bookings to an operator licensed in another area (including to itself) which must use Private Hire Vehicles (PHVs) and drivers licensed by the same authority (or hackneys licensed by any authority); and an operator licensed in an adjacent area to Sheffield can subcontract bookings to an operator licensed in Sheffield that must use PHVs and drivers licensed in Sheffield (or hackneys licensed by any authority). City Taxis said at the time of the merger with Mercury that it expected a significant increase in competition from a number of sources following this legislative change, in particular from operators in immediately adjacent geographic areas, eg Rotherham, Barnsley, Chesterfield and North Derbyshire, and from national private hire operators. City Taxis submitted that it would make crossborder operations much more cost effective and that, in light of the Deregulation Act, it would register offices in boroughs outside Sheffield. The deal with the football club will see City Taxis become the Millers' official taxi partner running until the end of the 2017/18 season. 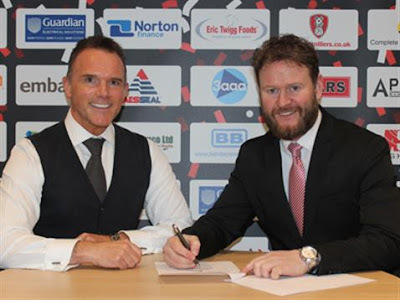 Steve Coakley, commercial director at Rotherham United (pictured, left), said: "We are thrilled to add City Taxis to our growing portfolio of commercial partners. "We continue to make progress on the development of both existing commercial partnerships and new opportunities, this is yet another deal that will bring great benefits for both parties. "This deal with City Taxis will also see them get involved in several areas of sponsorship with the club over the next couple of years, and I am very much looking forward to working with Paul Gosney and his colleagues." Paul Gosney, business development manager at City Taxis (pictured, right), added: "We are delighted to be launching in Rotherham and being the official taxi partner to Rotherham United. "The Millers are a great club and I have personal history having had trials back in 1992 trying to compete with Matt Clarke for the number one spot." 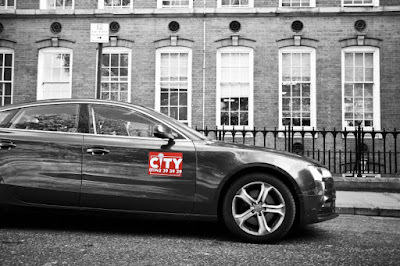 Launching in 1996, City now has over 960 drivers and completes over 75,000 journeys per week, making it the biggest taxi firm in the city region.